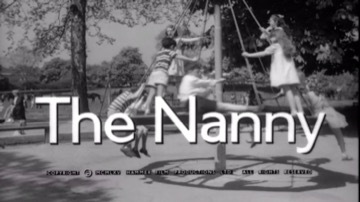 Nanny is the mainstay of the Fane household, so why does ten-year-old Joey hate her so much? She seems so sweet and innocent, yet he will not eat anything cooked by her, will not sleep in a room prepared by her and will not even take a bath unless she swears to keep out of the room. There must be something wrong with Joey, because there can’t possibly be anything wrong with Nanny, can there:…? This was Hammer’s last black and white production. Bette Davis’s roles in this film and in “The Anniversary” (1968) came about as a result of the fact that Hammer at the time was co-owned by the Hyams, her son-in-law’s family. Seth Holt, a very experienced film editor from the golden school of Ealing, directed two other films for Hammer – “Taste of Fear” (1961), and “Blood from the Mummy’s Tomb” (1971). Pamela Franklin played the little girl Flora, one of the children beset by ghosts in Jack Clayton’s chilling film “The Innocents” (1961), which was photographed by Freddie Francis.